What’s going to happen with Jack in season 14 of The CW’s Supernatural? Alexander Calvert hopes he continues to dedicate himself to helping people. However, as he pointed out in our interview, in the world of Supernatural anyone can flip at any time. Case in point: in season 14 Dean (Jensen Ackles) has been taken over by Michael. Calvert also joked about characters being able to die multiple times and still be brought back to life in the series. 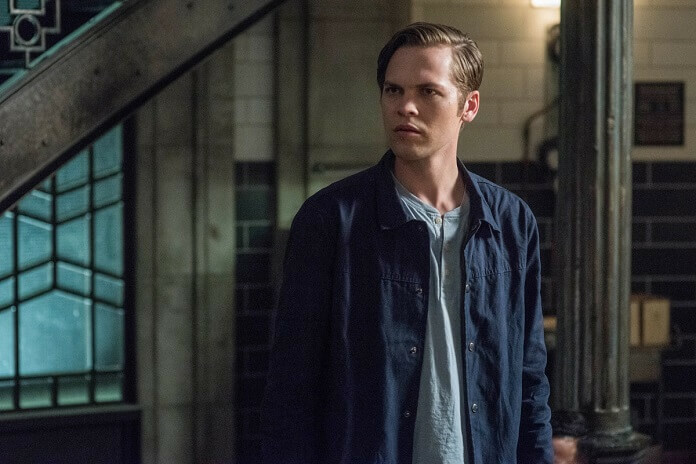 Alexander Calvert discussed season 14, who Jack will be teaming up with, and what’s in store for fans of the long-running series during our interview at the San Diego Comic Con. Supernatural season 14 will premiere on October 11, 2018. Where do we pick up with Jack? What’s his state of mind? How is Jack handling life in the bunker with all the new people? Do we see much of the Jack and Mary relationship now since they really bonded on the other side? We saw that Jack turned against his father last season when he realized who he was. Is he feeling any sort of conflict or guilt about what’s happened to Dean or any lingering feelings towards Lucifer? And he’s only one year old. Including guilt as far as not being able to save everybody from the apocalypse world. Will that guilt continue into this season? We saw a really nice friendship develop between Jack and Sam last season. How will Jack interact with Sam this coming season? With Jack missing his powers, how is he handling that and how will he stay in the fight? Who is he leaning on or relying on the most in the early episodes? Did you have to do any additional training for stunts now that Jack doesn’t have powers? Do you think you’ll get to drive Baby at any point? Has he totally decided what his role is and what his motivation is looking forward into the future? Is there a possibility he can get his powers back? Is that a quest that he can try and turn them back on?